Pretty Things: Nina Designs Contest! 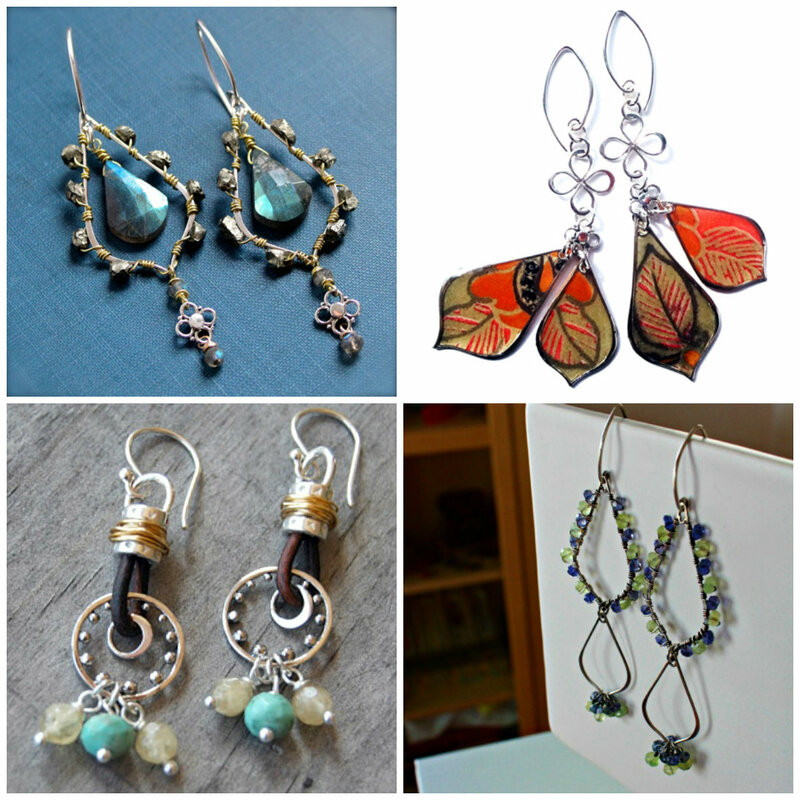 I was very honored to be contacted by Nina Designs to design earrings for their challenge. They are one of the first companies I bought from when I started my jewelry career, and they are amazing, amazing people. Their beads are unique and fresh, and their work ethic is impeccable. I have always avoided joining anything that required my asking for votes -- I get shy about that. But I couldn't turn down the chance to work with Nina Designs silver, so here's how I'm doing this. I am NOT going to tell you which pair I made. Vote for the one you love. I voted for someone else, in fact, because I truly love what they made better than what I did. So please click here to vote! You can vote once a day until March 11th. Introducing my Bead Soup Blog Party ® Partners!